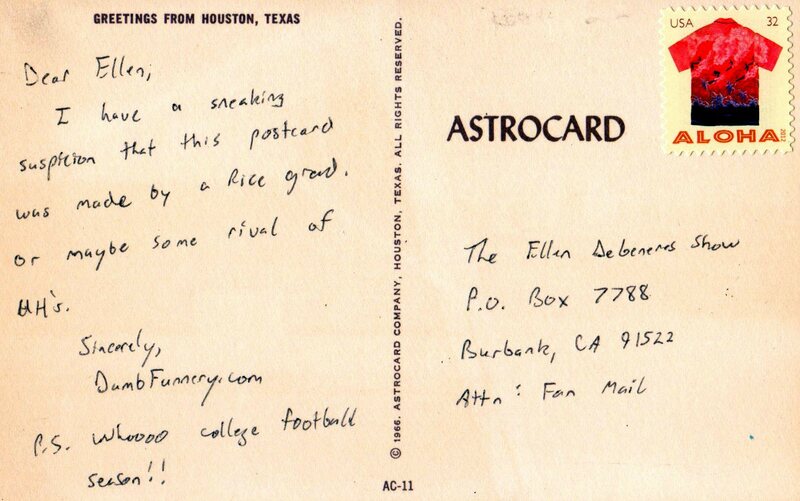 I have a sneaking suspicion that this postcard was made by a Rice grad. 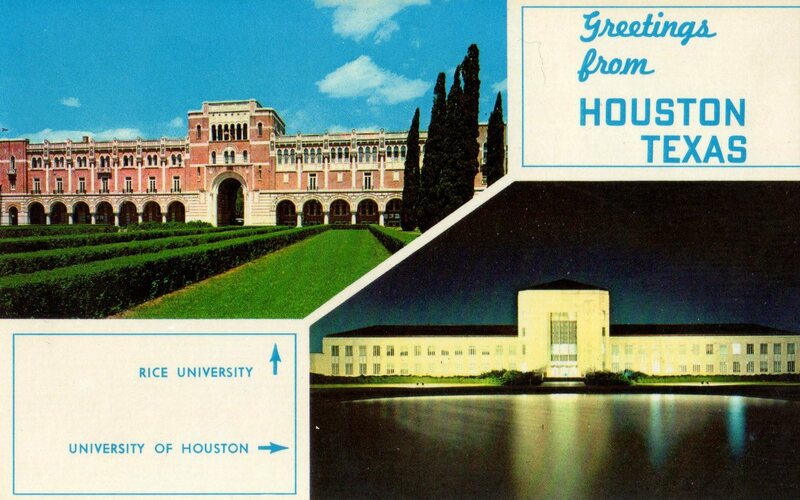 Or maybe some rival of UH’s. P.S. Whoooo college football season!! But Darling, They Say it Won’t Work!